I love this little boat, its a real mile munching little gem, and this little beauty will surprise you when things get rough with its amazing stability and the way it effortlessly cuts through waves, fancy a bit of surf? Little pilgrim is quite capable in this department too. A great kayak for beginners and advanced paddlers alike, a real class beater for smaller paddlers, though as of 2018 we have the Echo for petite paddlers! also well worth a look at is the Pilgrim Expedition for longer journeys or expeditions. A responsive kayak designed for the small or slim paddler. The hull is narrow, offering speed and is very easily turned and controlled with a minimum of weather cocking even in strong winds. This kayak is as easy to roll as most Greenland rolling kayaks. 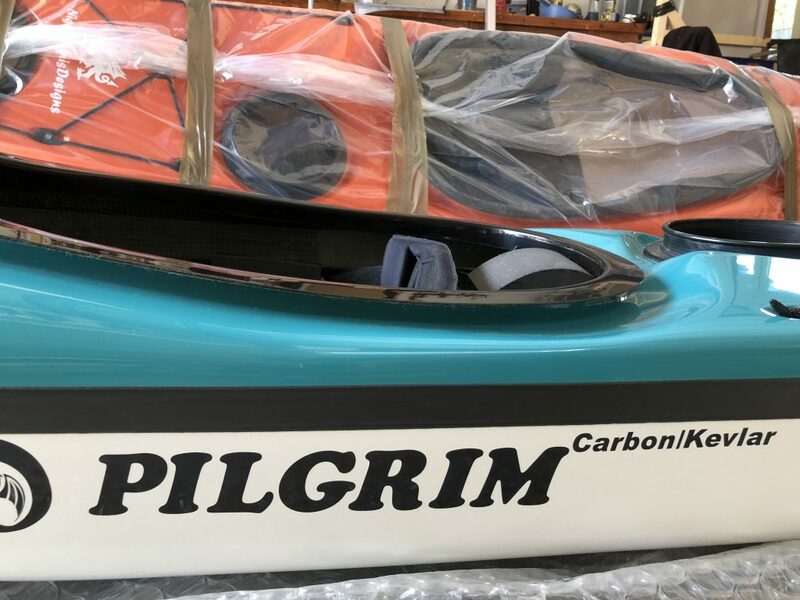 Pilgrim fits the small kayaker and also the taller lightweight kayaker. This multiple-fit option is due to a raised kneebumps either side of the cockpit. 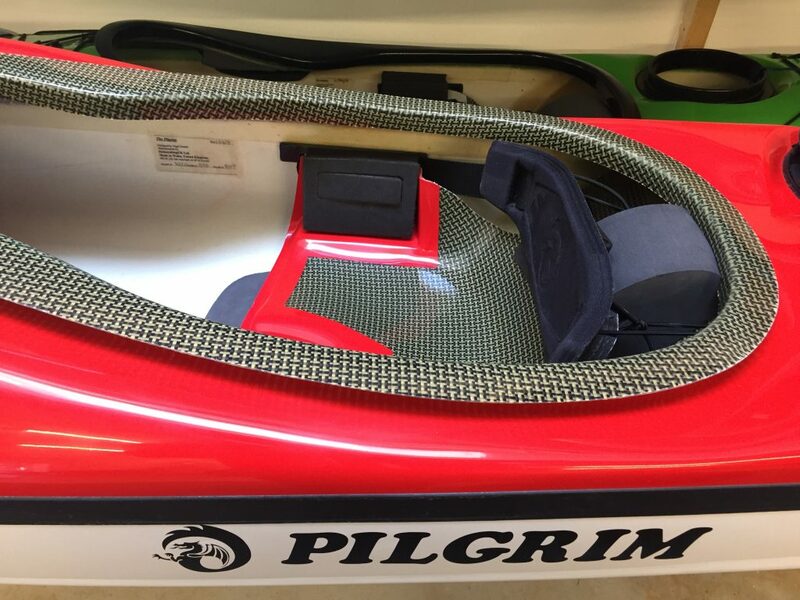 The kayak is fitted with the High performance glass seat which is available in two width sizes, as new it comes with a narrow performance seat unless otherwise requested. The small paddler may want to consider the small size high performance glass seat which has to be ordered specifically, but at no additional cost. 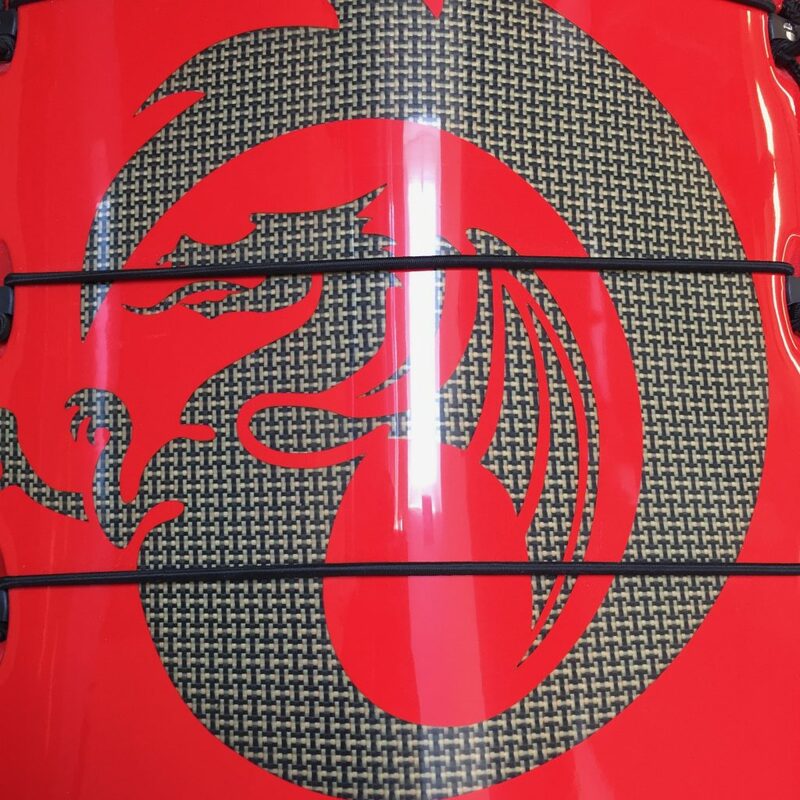 The kayak has a low rear deck for easy rolling, a keyhole cockpit that gives excellent grip, control and allows for quick exit if needed. The sloping bulkhead behind the seat allows the kayak to be emptied by lifting only the bow, no x-rescue is necessary. A day/weekend kayak for the small or taller and slim paddler, length: 480 cm, width: 50 cm, depth: 30.5 cm, overall volume: 250.5 litres, front hatch volume: 62 litres, cockpit volume: 117.5 litres, day hatch volume: 36 litres, rear hatch volume: 35 litres.